B Side Mikey Show / Iron Maiden – Radio for the People, by the People. 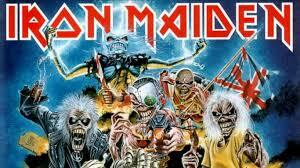 The B Side Mikey Show has Iron Maiden on the table tonight in Studio 1A from 8pm-10pm (PST). Joined by the infamous Walter Morgan & special co-host H.A. Tommy. It will be epic as always when Walter drops stories regarding the bands success both studio, & live! You can join as well by calling 415-829-2980. A long awaited evening with tracks from one of the best bands on the planet. Thank you so much for your support around the world as you all continue to communicate with me through Facebook. Be part of that metal/rock/ “chit chat” by friending me @ Michael S Sojda and you can also drop a LIKE on my biz page @ B Side Mikey Show. “Sweet Kayla” & “Bart Man” return next week & we sincerely thank you for your continuous support of the show. \m/ Peace > Don’t drink & Drive!